In support of Mark Schreiber and Bobby Menges and all those affected by cancer, the Alpha Alpha chapter of Pi Kappa Alpha at Duke University will be hosting "Shave for Schreiber, Buzz for Bobby". 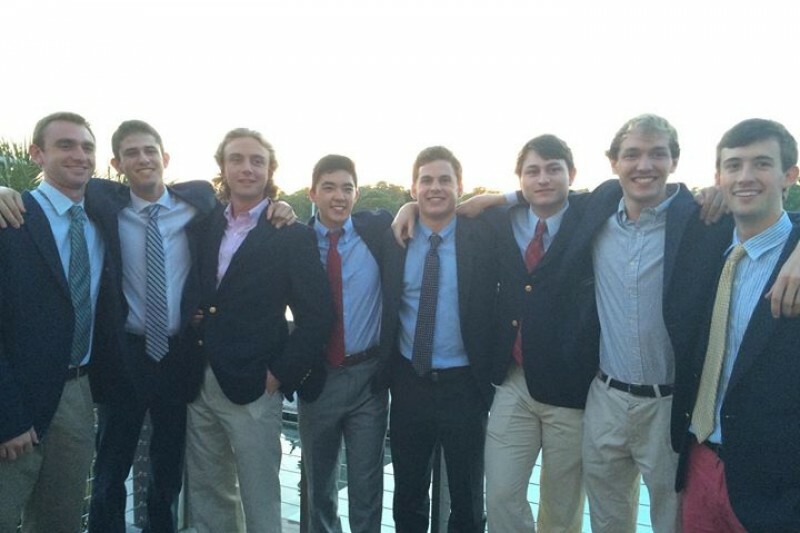 40+ Pikes have volunteered to shave their heads in solidarity of their two brothers. The goal is two-fold: to support Mark and Bobby as they battle cancer, and to raise money for cancer research and support programs at the Duke Children's Hospital. Each brother will be responsible for his own fundraising, but needs your help. Individuals not shaving their heads can still support the cause by donating money, contributing to the bake sale and spreading awareness. We ask all of you to share this link with friends, family and coworkers; we hope this cause goes farther than just our campus! The event will culminate with a "shave-or not" in which one brother with a great head of hair will raise money in two buckets, one to shave their head and one not to. Depending on which raises more money, the brother will either shave their head or leave it. If you're interested in getting involved please contact Petros Palandjian at pmp17@duke.edu. For those who want to wish Mark and Bobby well, they can be reached at mas128@duke.edu or rbm24@duke.edu respectively. Please feel free to share this event with your friends! Go Petros, go all your brothers and especially Mark and Bobby ! Mark you are Awesome, Los Altos is proud of you.